Meet Leah, one of our Safari Aficionados at African Bush Camps, an expert in planning your dream safari! Part of the African Bush Camps family in Cape Town. Leah has worked in the travel industry for over a decade so she’s happy to share her wealth of knowledge. On a recent trip to Zimbabwe, she visited Somalisa Acacia and Somalisa Expeditions, Bumi Hills Safari Lodge and Zambezi Expeditions to see what’s new and catch up with our teams in camp. Experience our Zimbabwean camps through Leah's eyes! 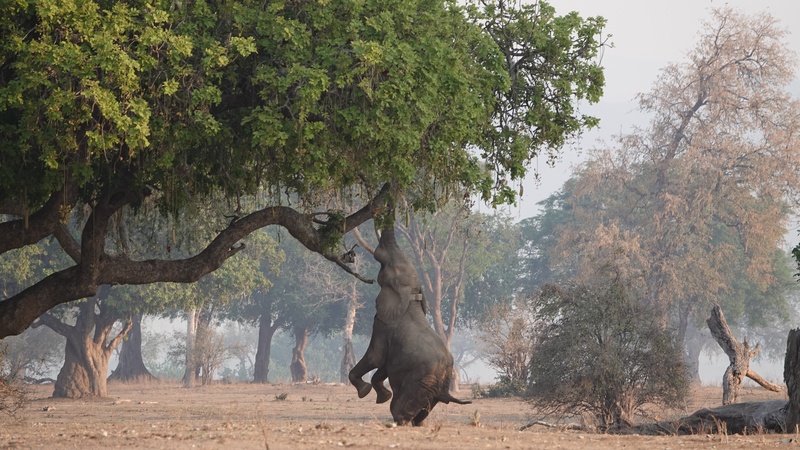 “Each camp offers a unique highlight, and at Somalisa Expeditions it was sitting on the tent balcony and watching the elephant herds pass by on their way to the water hole. A favourite is when the baby ellie copies his mom by raising his trunk in a little periscope to sniff out what’s happening. Staying at Somalisa Acacia and Somalisa Expeditions, I was guided by the fantastic Armstrong, who continued to offer interesting and unusual information about the flora and fauna of Hwange. 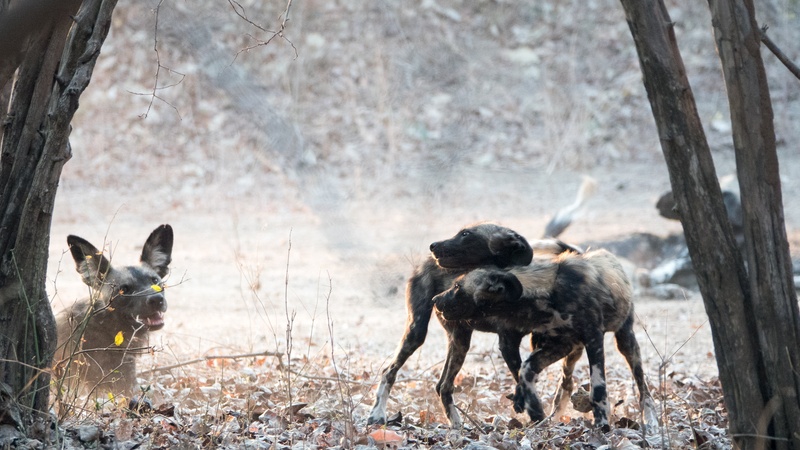 Every game drive brings something new, and Armstrong brought us to some exciting sightings including the rival male lions Humba and Netsai that have recently moved into the area." "Bumi Hills offers such a range of activities, I would definitely suggest including it in every Zimbabwe safari! The location over Lake Kariba is breathtaking and the variety of activities means there’s something for everyone. Chindega was our specialist boating guide out on the Lake and there’s no better person to show you Kariba as he grew up in the area and can navigate the waters expertly. 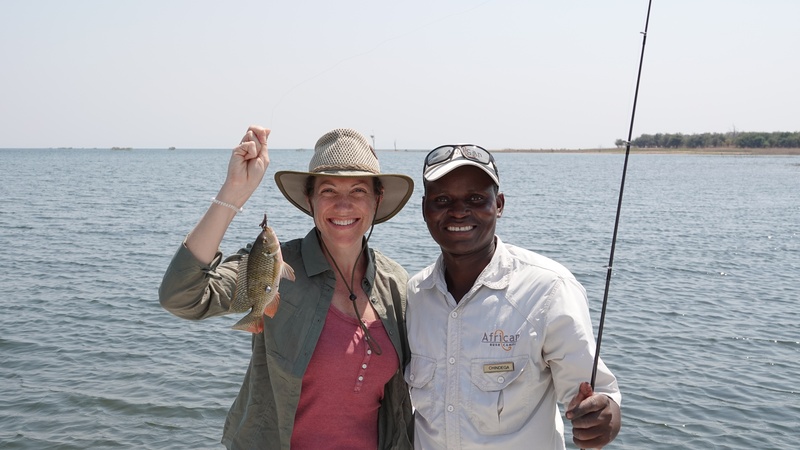 With exciting wildlife sightings on the islands (viewed safely from our boat), to an awesome Kariba sunset and even a spot of bream fishing – Kariba is endless fun." "Mana Pools National Park always offers a special safari experience which is impossible to explain and can only be understood when you have been! Staying at our Zambezi Expeditions camp allows for a rustic, authentic safari stay on the bank of the Zambezi. Falling asleep to the raucous hippos and distant hyenas is fantastic! Are you ready to go on an Zimbabwean adventure yourself? Then get in touch with us and have Leah put together an amazing safari experience for you! Book now for next year to ensure a special trip that suits you best. *All photographs and media was taken by Leah Humphreys.